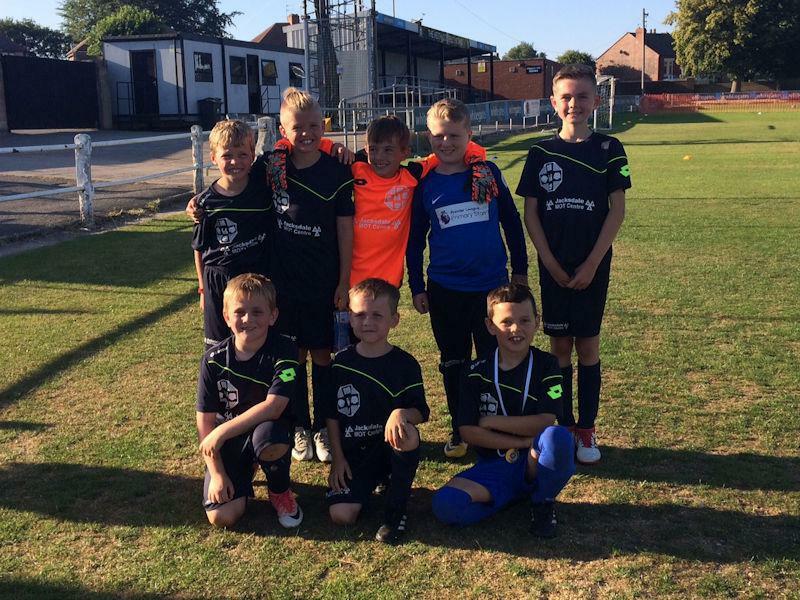 Our Y3/4 football teams went along to Heanor Town Football Club on Friday 29th June to play in the first ever Junior Gregg Cup. Our 'B' team drew 1 game against Langley Mill but lost the other 3 games against Mundy 'A', Howitt 'B' and Loscoe respectively. Our 'A' team had a very successful afternoon though as they beat Kilburn 2-0 and Mundy 'B' 3-0 and drew 0-0 with Howitt 'A' and 1-1 with Marlpool. This meant that we finished 2nd in our group to progress to the semi-final to play Mundy 'A'. In a tense, tight game we went 1-0 down early before equalising with a spectacular goal to take the game to penalties. The first penalty for Mundy was saved before we scored, the second penalty for Mundy hit the crossbar meaning we had to score to win, which we did! This took us to the final to play Howitt 'A' again. Another tense, tight game was settled by one long range goal from Howitt. Despite all our efforts to get back into the game, we finished as runners-up which is always a tough place to finish, but the boys did themselves and the school very proud - well done to all and thanks to all the supporters!